Over the course of five years at Dripping Springs, head football coach Galen Zimmerman isn’t one to look beyond the horizon in front of him. To the uninitiated, such a task could be easier said than done. Dripping Springs enters 2018 as not only the favorite in the new District 12-5A, Division I, but also as an area football power that’s consistently tasted success. But all of it – the accolades, the hype – don’t weigh on Zimmerman, whose approach of taking things one at a time is something he tries to instill in his athletes. As the season draws near, Zimmerman said continuing to progress with a group brimming with youth is the approach. During the first week of practice, Zimmerman said there have been many positives. The primary goal, however, will be to have enough depth going into the team’s Aug. 31 season opener against Kerrivile Tivy. Helping the cause is a handful of returning upperclassmen, as well as a “good sized” senior class, Zimmerman said. On the offensive side, senior running back Jake Cox, senior quarterback Tanner Prewitt, senior wide receiver Parker Alford and senior offensive lineman Manny Ansumana are anchors that will guide the group. On the other side, Nico Ramirez and Lane Dominey return after suffering injuries in 2017, while defensive lineman Kevin Perridore will assist in the trenches. Behind them will be a group who will get their first taste of football at the varsity level. Many of the Tiger players had to contend with multiple year starters at their positions over the past few years, but are now getting their opportunity, Zimmerman said. “I think there’s going to be some guys like that who are going to a play a big part,” Zimmerman said. Dripping Springs will also prepare for life in a district that features Austin McCallum, which reached the 5A, Division II state semifinals in 2017, along with Austin LBJ, which has reached the postseason in each of the last four seasons. 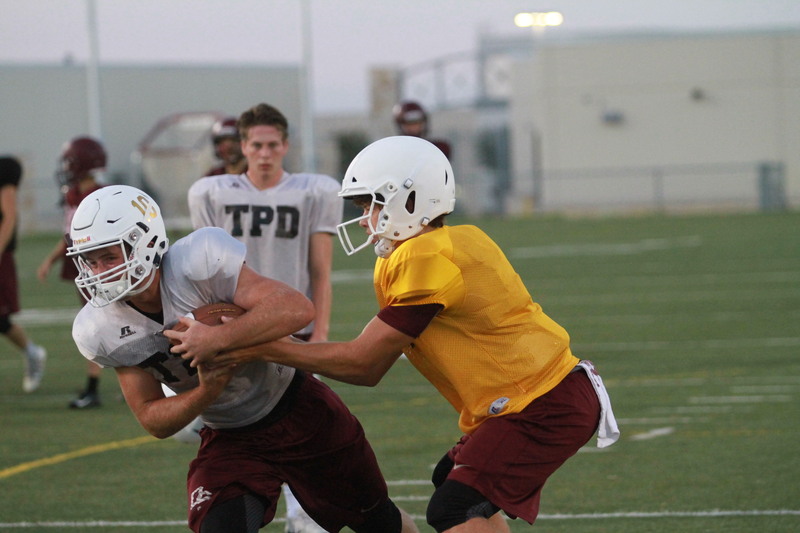 Should Dripping Springs reach the postseason, the program will take one of its first steps into Region 3, which offers competition ranging from Austin to the Houston area. Zimmerman said while there are many unknowns heading into the season, the team continues to have high expectations. However, Zimmerman said the team also realizes nothing is guaranteed, not even the prospect of a school-record third straight district title. Dripping Springs hosts Kerrville Tivy at 7:30 p.m. Aug. 31 at Tiger Stadium. The Tigers then travel to play the Hays Rebels Sept. 7 at Shelton Stadium.